Dr. Smith is Minister-at-Large for OMF International and is convinced that majority Buddhist Asia is the greatest challenge facing the church in the 21st century. He travels widely, training and speaking extensively across the globe. 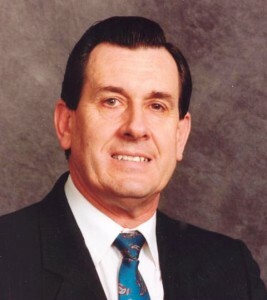 He was Northwest Director for OMF International (US) for 18 years (1984-2002). Prior to that he spent 20 years as a pioneer church planter in Central Thailand. Born in Brisbane, Australia, Alex was trained as a chartered accountant and as a pilot in the Royal Australian Air Force. He met his American wife, Faith, at Prairie Bible Institute in Alberta, Canada. Joining OMF International in 1964, the Smith’s served in pioneer evangelism, church planting, training national leaders, teaching church growth, supervising new missionaries, coordinating field evangelism and directing the Thailand Church Growth Committee. Alex earned his Doctorate in Missiology at Fuller Theological Seminary School of World Mission in Pasadena, California, and his Master of Divinity at Western Evangelical Seminary, George Fox University in Oregon. He also graduated from Daystar’s International Institute of Christian Communication in Nairobi, Kenya. Alex authored two Thai books on church growth and evangelism, as well as several English titles, including Siamese Gold: A History of Church Growth in Thailand, Strategy to Multiply Rural Churches, The Gospel Facing Buddhist Cultures, Buddhism Through Christian Eyes, and A Christian’s Pocket Guide to Buddhism. He also contributed chapters in each of the Seanet Book Series. A frequent lecturer at seminaries and colleges, Dr. Smith also taught many Perspectives courses for the US Center for World Mission. For 18 years he was adjunct faculty at Multnomah University in Portland, Oregon. He served as the first Northwest Vice President of the Evangelical Missiological Society, and as Buddhist Track Chairman for Regent University’s Unreached Peoples Consultation. He is Chairperson of the Executive Committee of the SEANET worldwide network. Alex and Faith have three grown sons, Tim, Dan and Jonathan and four grandchildren.